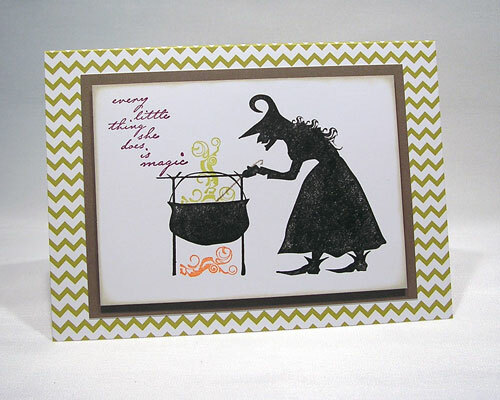 Here is a little sneak peek of one of the projects for tonights stamp camp. Can’t wait to see you all. I am also preparing for tomorrow’s Ladies Pampering Event at my church, New Brunswick Church of Christ. 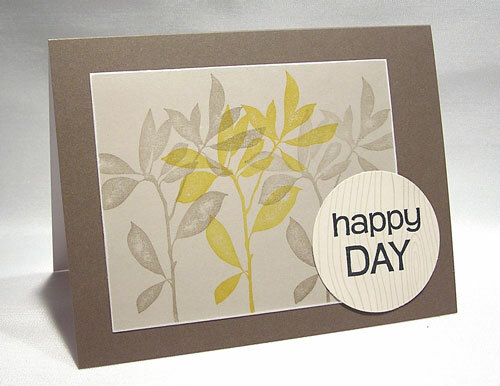 We are having a day of pampering and relaxation… a special guest speaker, facials, masages, lunch and of course, stamping! 🙂 The event runs from 10:30 to 2:30 PM. I encourage you to make it. 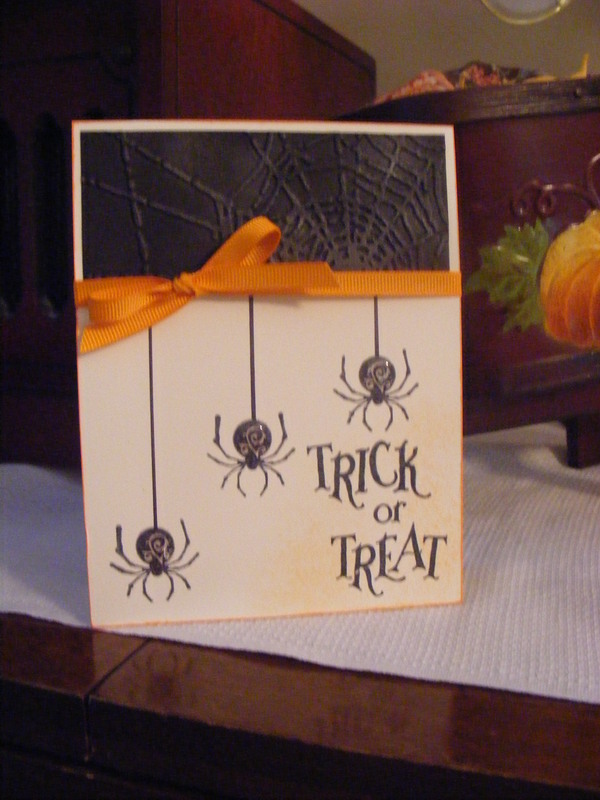 I am putting together a cute “make and take” and having a raffle drawing for free admission into one of my stamping events. I will post the winner here on Monday morning. Well, not this card. 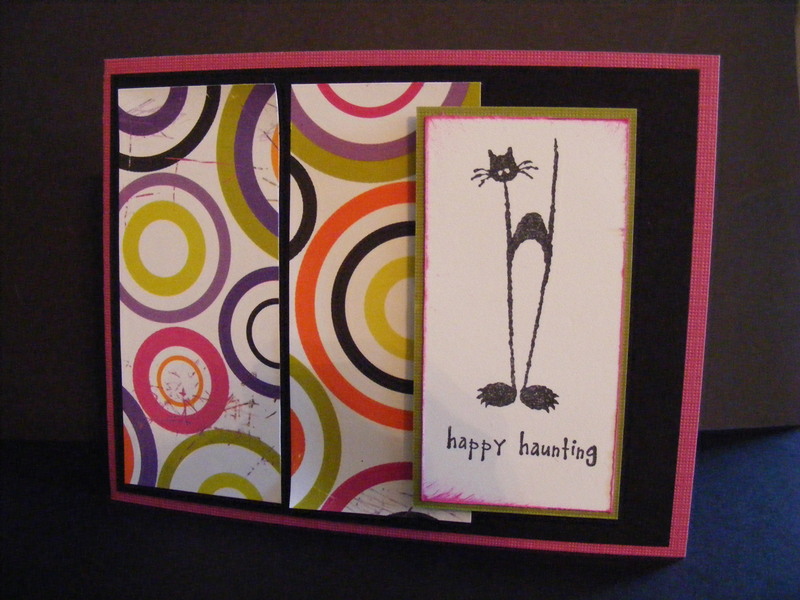 This card was designed by my good friend, Jennifer Edwards. (I’ve displayed several of her works of art here before.) She was a guest at my September Stamp Camp. 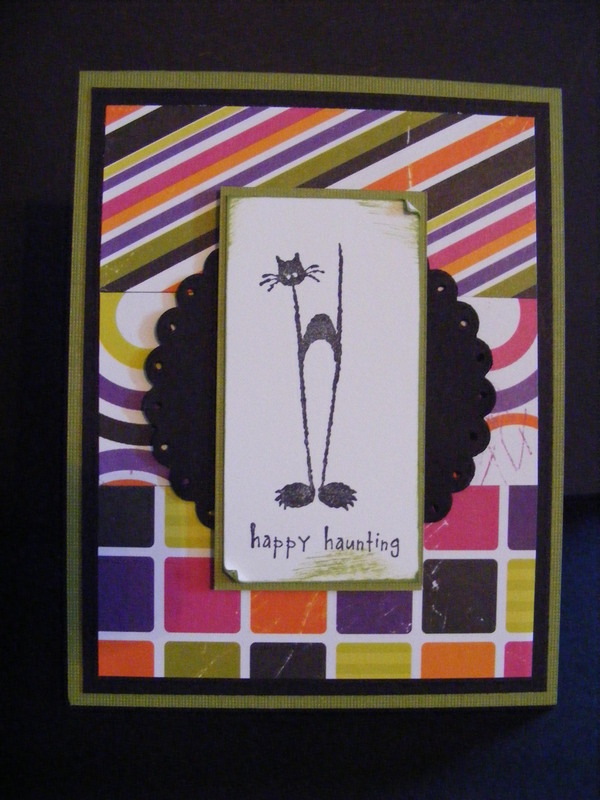 I designed a Halloween card using the exact same cardstocks and stamps and she told me immediately it was “too busy” and proceeded to change the design. And she was totally right!! 🙂 I LOVE how she changed it! Mine was too “busy”. (See card below.) Thanks, Jennifer! Keep Stamping!! 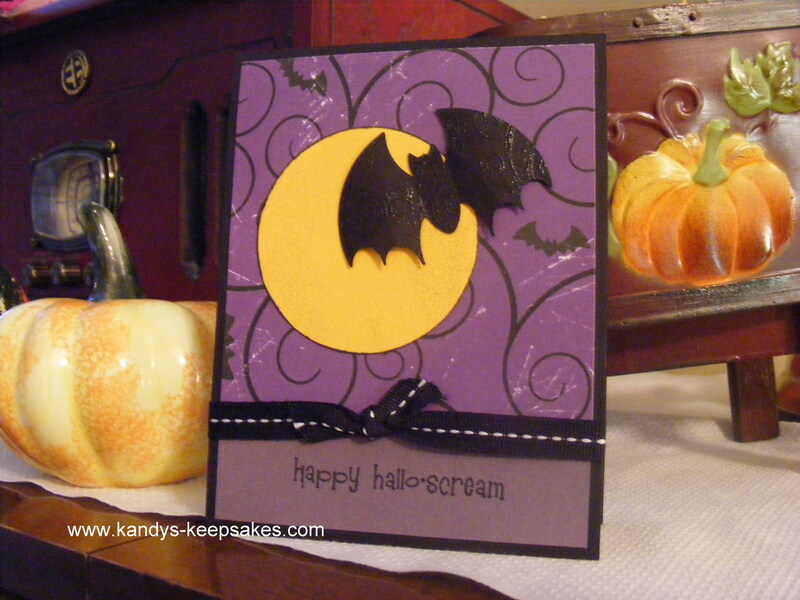 I made this darling card using a circle and bat punch. 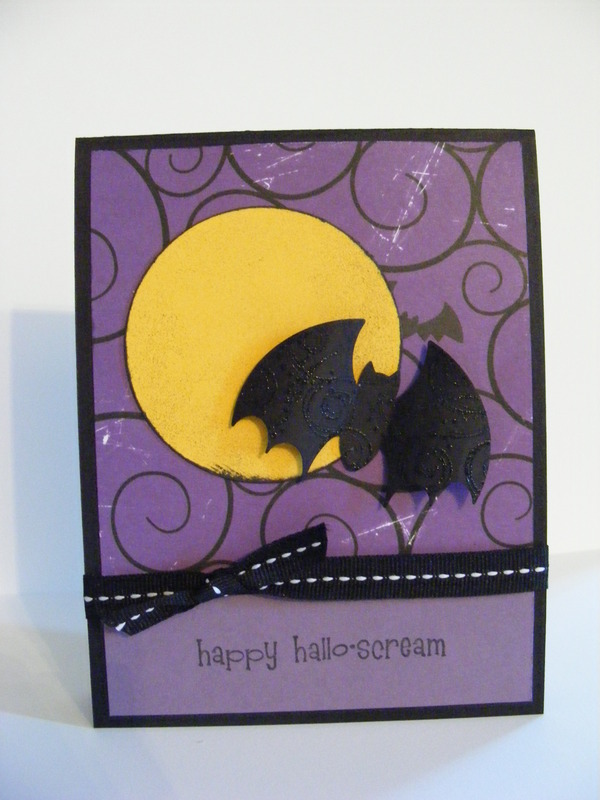 I embossed a swirly design on the bat and curled its wings to give it dimension. The back ground paper and “happy hallo-scream” are retired products from The Angel Company.